Although today is the first day of spring, it still feels much more like winter, which means there are still plenty of dangerous road conditions. If you find yourself stuck in a white out, it can be a very dangerous situation. 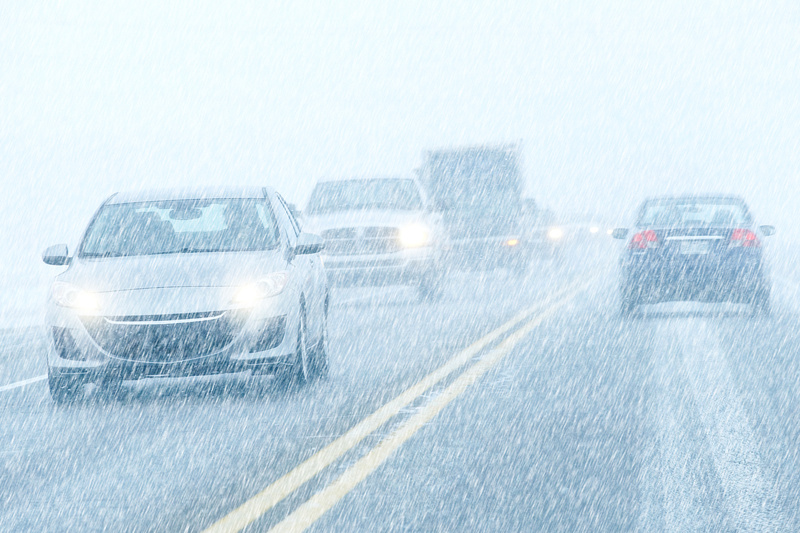 Keep these cautious driving tips in mind to help stay safe on the road during a white out. Slow down – keep in mind that speed limits are put up for good driving conditions, such as in the summer. Check your speedometer periodically when driving because it is very easy to speed up without realizing it. Avoid abrupt movements – do not make any abrupt movements on the road, such as quick braking, accelerating, and steering. Do not tailgate – keep a safe distance away from all cars in front of you. Leave more room than you typically would to give yourself enough time to stop. Avoid lane changes – even if you are stuck behind a slow driver, try to stay in the same lane for as long as possible. Changing lanes can cause less visibility for other drivers on the road. Do not use cruise control – using cruise control can limit the amount of control you have. If you tap your brakes while using cruise control, you can easily lose traction. Look beyond the front car – do not focus on the car that is directly in front of you. Instead, keep your gaze further ahead so that you will be ready for what is coming up. Defrost your windows – turn on the defroster for both your front and back windows. Do not use the recirculate button, since it can make your windows fog up even more. For all of your auto insurance needs and to ensure that you stay safe while the snow is falling, contact Gee Schussler Insurance Agency in Orland Park, Illinois.